Able2 provides environmental modifications for people that qualify for services through the Office for People with Developmental Disabilities (OPWDD) and either rent or own their own homes. After a clinical assessment, our team will work with our individual or their family to make internal or external modifications to the house so they can remain in the home safely and independently. In the early part of March, an Environmental Modification was completed at Issiah's home. 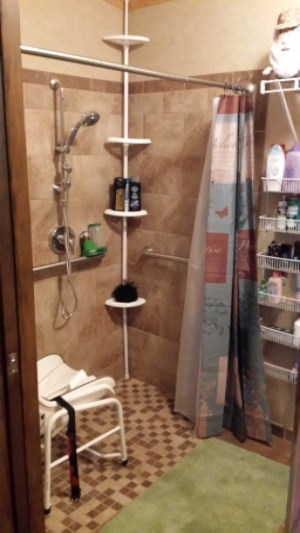 The modifications included a re-work of the bathtub and shower. All work was done according to plan. Issiah and his grandmother, Ruth, love the end result. 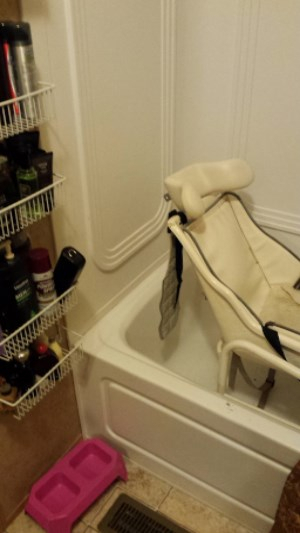 Issiah can actually wheel into bathroom and turn around, plus use the shower area without impediment. Issiah gave the work "his stamp of approval".